This is who REALLY owns Harold the Doll! I had recently decided, in fact I thought about it again just today, not to post anymore blogs or vlogs regarding Harold the Doll. I chose not to do so because, to be honest, I’ve got so much going on with trying to get my own life back on track. Harold has had such a negative effect on my life, I was thinking if I would just ignore the whole thing for a while…. 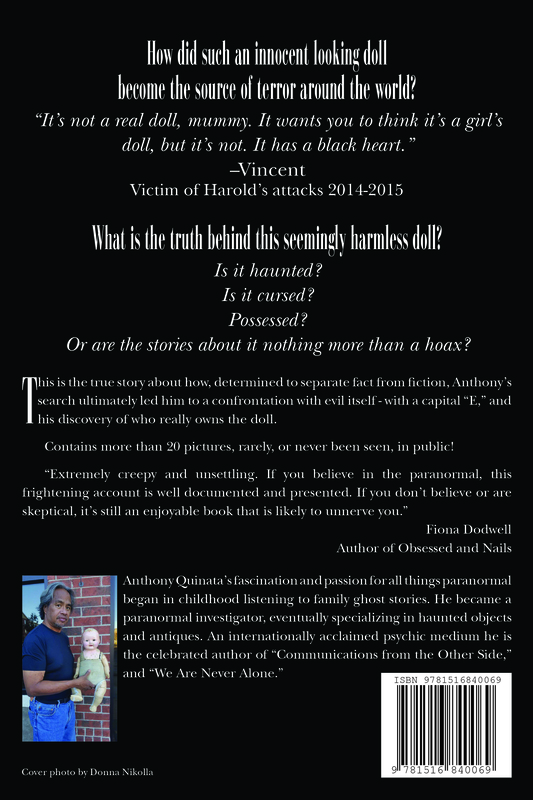 If you’ve read my book, you know that I didn’t believe in “demons,” or the “demonic” until after I began my search for the truth about what was causing the activity seemingly associated with the doll. I mean, people around the world would write to me telling me about feeling ill, getting headaches, backaches, etc., after simply looking at a picture of the doll. Some people claimed to experience even more dramatic “attacks,” such as vomiting blood, or ending up in a hospital emergency room. I didn’t think too much about it until I was told that a “haunting” would have an effect from 15 to 20 feet around the doll. Again, I was hearing from people around the globe. Some people suggested there was a “demon” involved and that I take the doll to a “demonologist,” such as Lorraine Warren. I would dismiss the idea because, one, as I said before, I didn’t believe in demons, and two, it seemed to me to be a foregone conclusion that a demonologist would declare that a demon is at work, and that I should give the doll to them. Yeah, right. 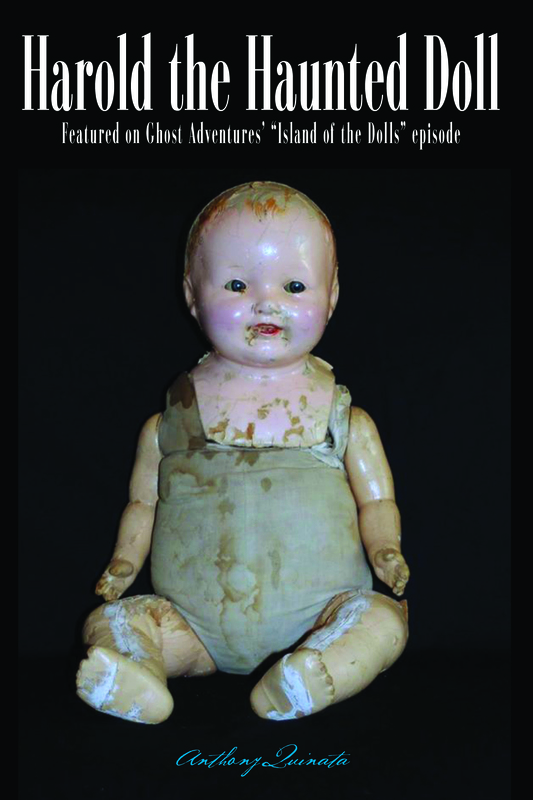 As I mentioned before, I freely talk about, in my book, how I learned that not only is there a demon involved, but it is named in the Bible, and it owns the doll, not me. I also revealed it’s name. Recently, I’ve toyed with the idea of making it’s name “public.” I went back and forth about it, and decided against it, until now. What made me change my mind? I’ve been having crazy dreams all consist of tragic events happening. I was reading my bible the other day I was in Acts chapter 12. I set my Bible down on my table with it still open on acts where I last left off, I went to get [my son] off the bus. No-one else was here. When I got back in maybe 10 mins tops my Bible was still open, but wasn’t on Acts anymore; it was on page 866 (for my Bible) and it was on Revelation 9. It was set that the very first passage on that page was Revelation 9:9-11. But the first word that stood out to me was Abaddon. Like everything was blurred out to me but that word/name. It was the only word I could read for about three seconds, then suddenly, I could read everything clearly. I’m constantly having things moved from where I put them, and I feel like I’m being stared down 24/7. I wrote back to him and asked him if he had read my book yet, considering I wrote about him and his vision in it. No I haven’t. Things have been tough financially for awhile so haven’t purchased much of anything. But I plan on getting it. I ordered it once but had issues never received it had it canceled but hadn’t reordered it yet. “What do you know about Revelations 9 and what it has to do with Vincent?” I wrote back. Oh yeah I think I remember you saying something about him writing a name down that was a demon mentioned in the bible. But that’s the only thing I remember you mentioning now that you said something. I asked him to call me, which he did, and we talked for about 35 minutes. He talked about his dreams, and how in them he kept seeing death and destruction. I grilled him about what happened with his Bible. As we were talking, I came to the conclusion that I’d been wondering, and praying about, revealing the demon’s name publicly, outside my book. I decided, and told Larry this, that I thought it was God’s way of telling me to go ahead and do so. For Larry’s protection, as well as that of his wife, and son, I asked him to back away from having anything to do with Harold for the time being, until I get this resolved. He agreed. So now you know what I know… who really owns the doll. What I still don’t know is what this all means. As a side note, last night I had the worst asthma attack I can remember having since I was a child. More than once I wondered if I should go to the emergency room, it was so bad. As suddenly as it came, it finally eased up @ 5:30 a.m. this morning. While I was talking to Larry, I noticed that my chest was still tight, and that I was wheezing. As I was writing the last paragraph, I realized that I could breathe freely again. The last time I had an attack almost as severe as the one I had last night, Vincent’s mum messaged me on Facebook telling me that he was crying and calling out my name. 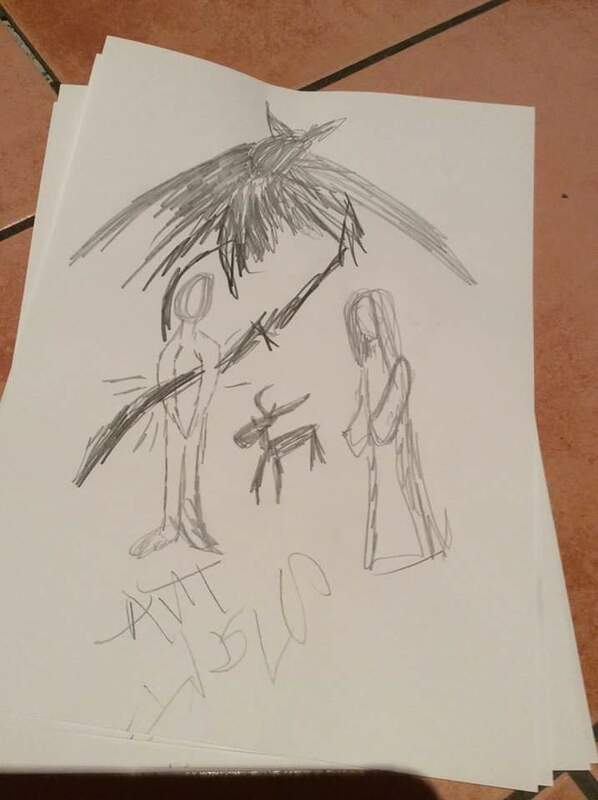 I asked her to ask him to draw what was upsetting him. Apparently, it was Abaddon who was causing the attack that night. I now think it was behind the attack I had last night as well. An attack so severe, I wondered, more than once, if I would die because of it. If I think about Harold the Doll, he will come? A new threat from the demon that owns Harold the Doll? Thank you! Prayers are good!